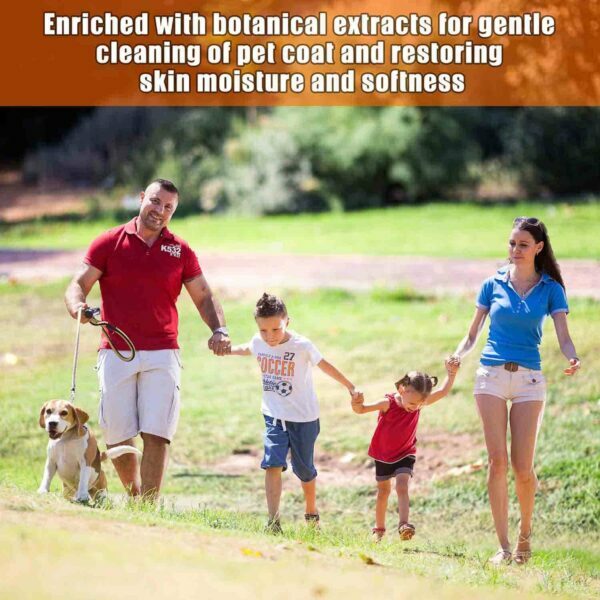 FORGET ABOUT DIRT, DUST & ODORS: Taking a walk with your pet is an amazingly relaxing bonding experience – until it’s time to get back home, and you notice that their paws and fur are full of dirt and dust. 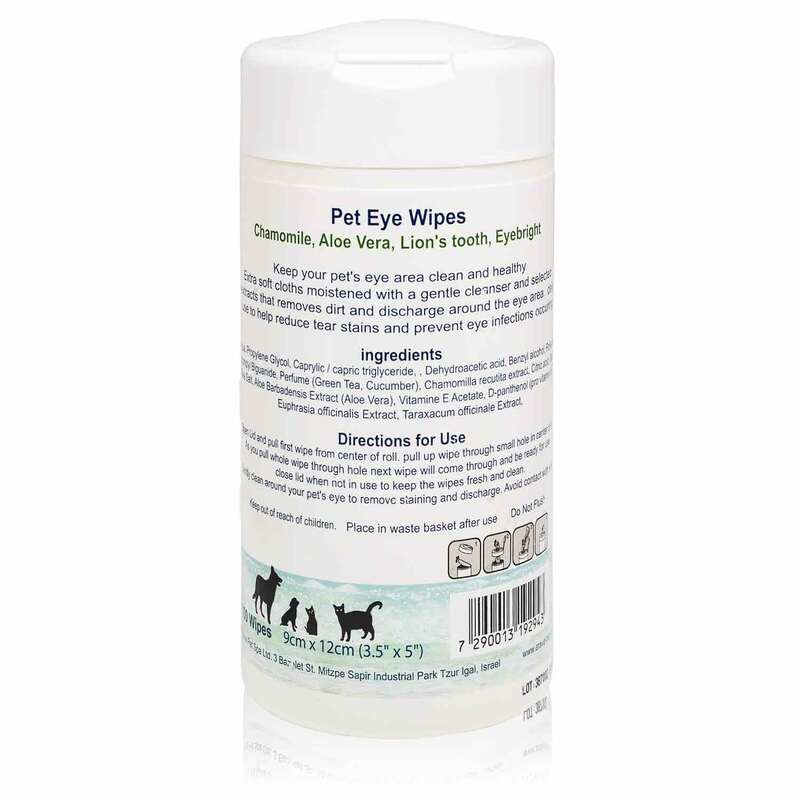 Well, no worries – these wipes will get your furry friends nice and clean in no time! 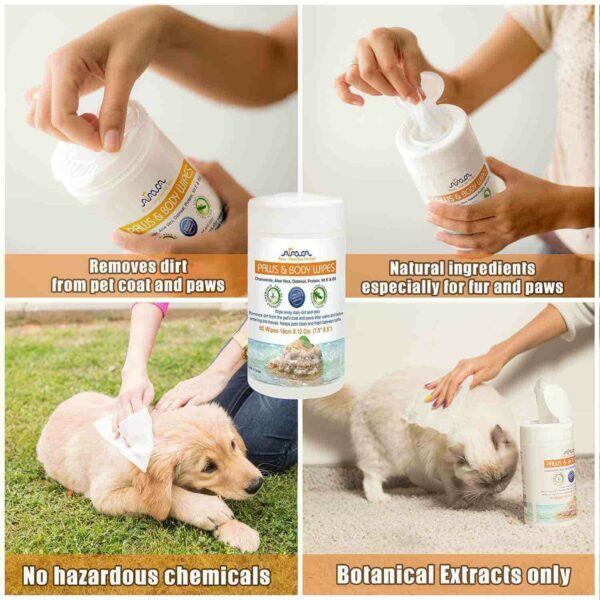 HERB & MINERAL ENRICHED FORMULA: With a gentle formula that features chamomile, aloe vera, oatmeal, protein, vitamins E & B5, and no less than 26 Dead Sea minerals, these wipes will cleanse, deodorize and refresh your pet’s coat – plus, they also have antimicrobial properties! 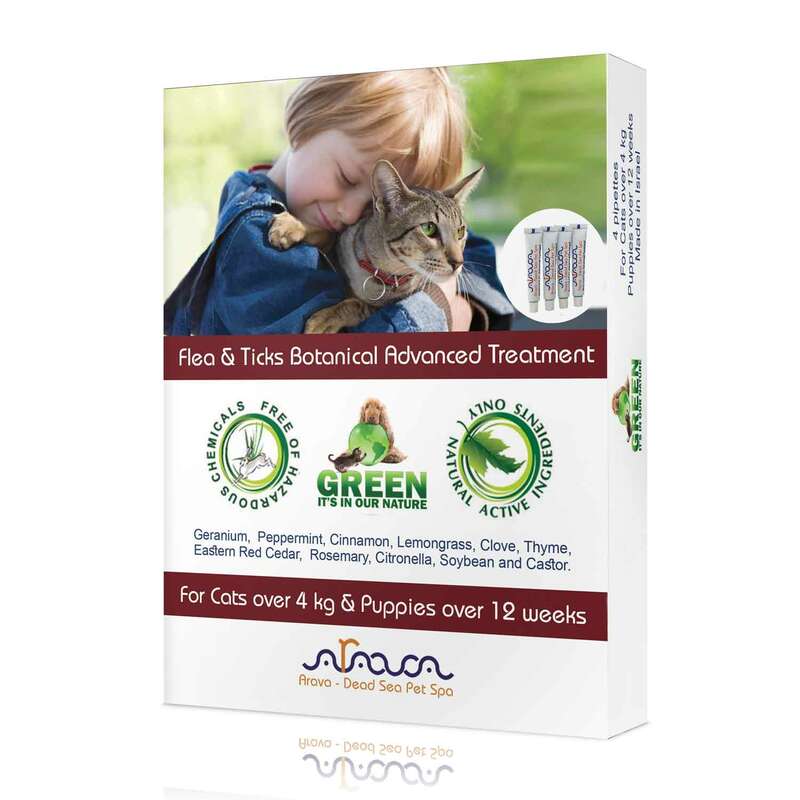 Arava wipes are also enriched with silk protein for fresh, glowing fur and vitamins for the health fur and skin! 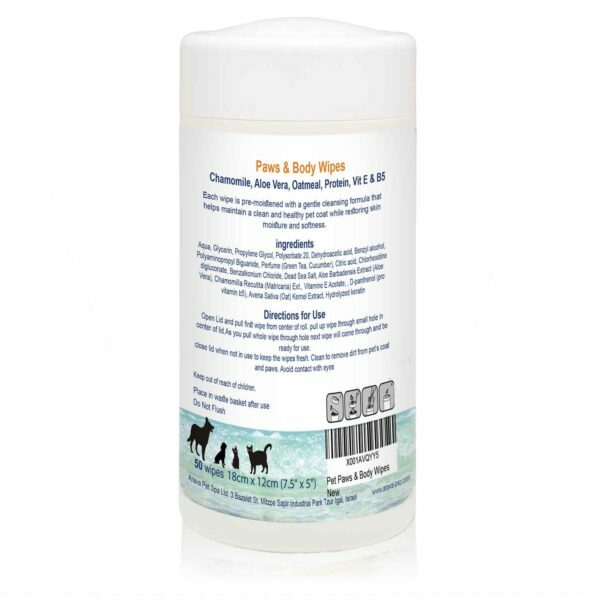 PRACTICAL CANISTER PACKAGE: Our Dead Sea Spa pet wipes come in a practical and convenient canister designed to maintain the wipes fresh and moist and make them easy to access. All you have to do is pull up the first wipe through the center of the lid, and the next one’s end will also come through, so that it’s ready for the next use. FREE OF HARMFUL CHEMICALS: When it comes to our pet care products, we at Arava make a point of using nothing but 100% natural and safe ingredients, as well as state-of-the- art production processes and strict quality control! 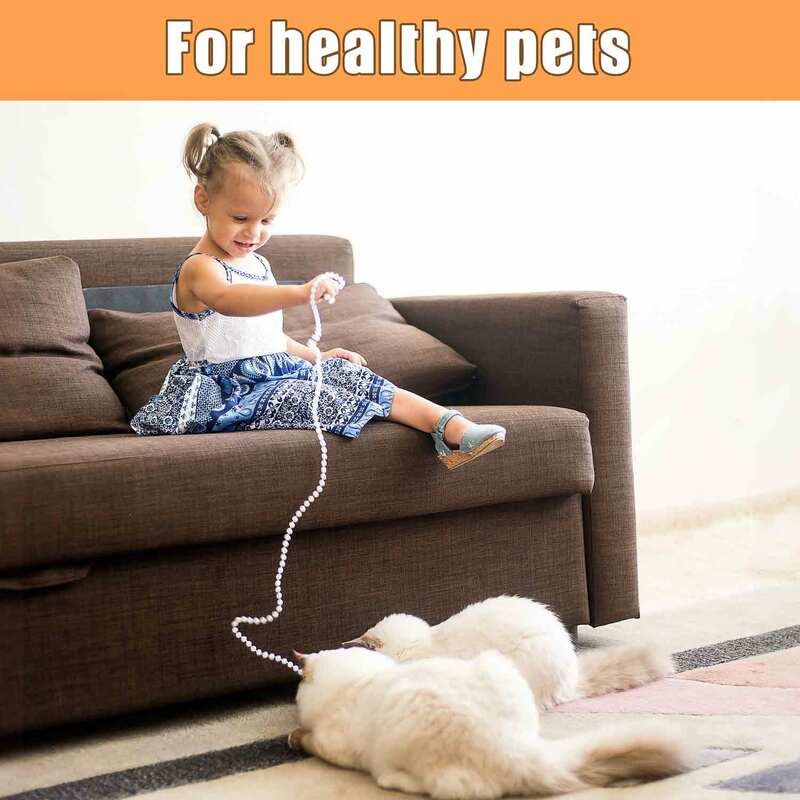 Are you and your pets coming back home after a walk? 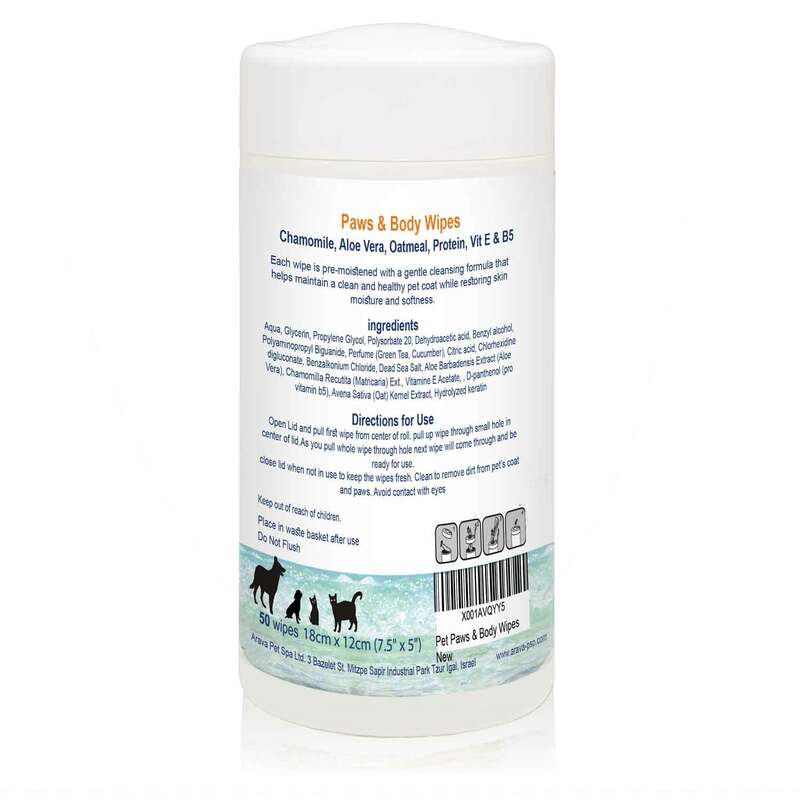 Make sure they carry no dirt, dust, or odors in the house with these great pet paw & body wipes! No matter how large your pets are or how heavy their coat is, these large 18cm x 12cm (7.5″ x 5″) thick pads are sure to give them a nice and pleasantwipe-down. What’s more, they are conveniently packed in a 50-piece canister that allows easy access and has a practical lid that closes to keep each wipe as fresh and refreshing as the first one! 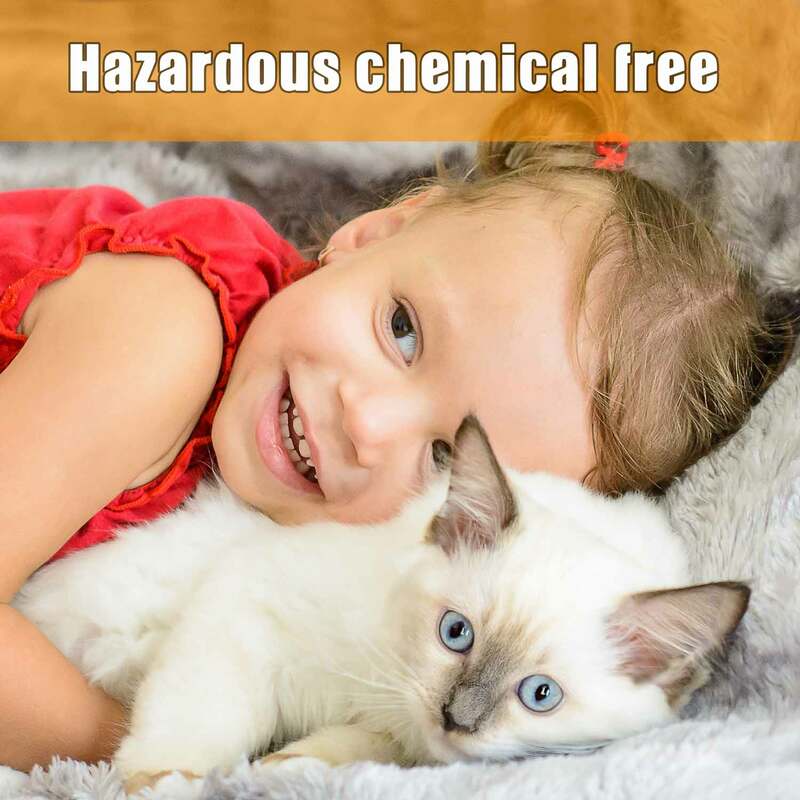 The only way to ensure that your pet stays safefrom such chemicals is to limit their use as much as possible, using naturally-derived products instead. 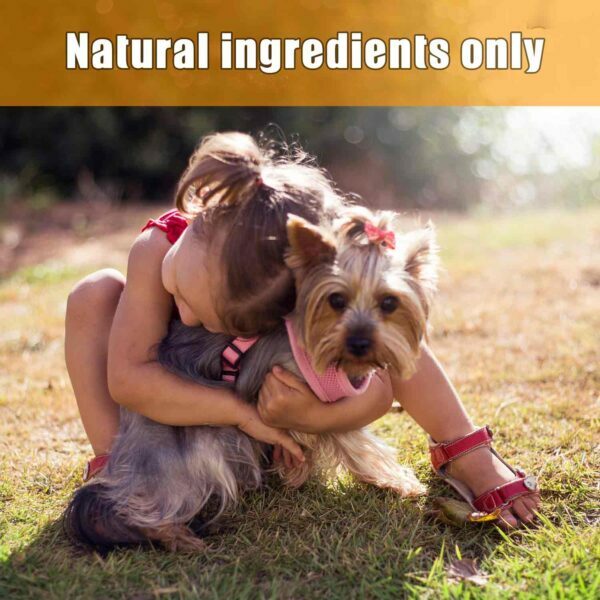 That’s why, when it comes to our pet care products, we make a point of using nothing but 100% natural materials and ingredients, which nourish and strengthen your pet’s skin and coat instead of causing harm! Unlike conventional pet wipes that do little more than just gather the dirt and dust from your pet’s coat, these amazing paw & body wipes are pre-infused with a well-thought-out cleansing and moisturizing formula. 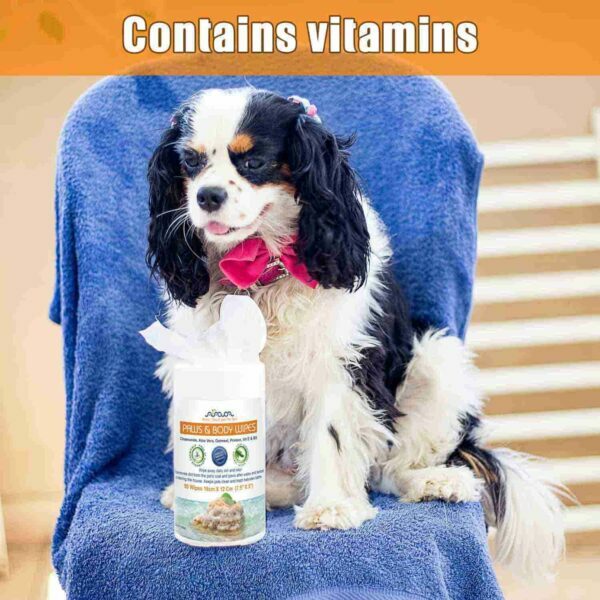 The unique mixture of chamomile, aloe vera, oatmeal, protein, vitamins E & B5, as well as no less than 26 beneficial Dead Sea minerals, these wipes are sure to gently help maintain a clean and healthy pet coat while restoring skin moisture and softness. 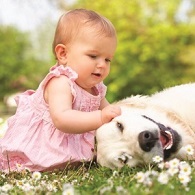 A percentage of our revenue goes directly to non-profit organizations that fight for animal rights. 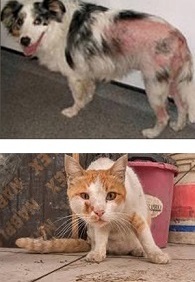 So join our cause and help us offer a better world not only to your pet, but to every animal on the planet! 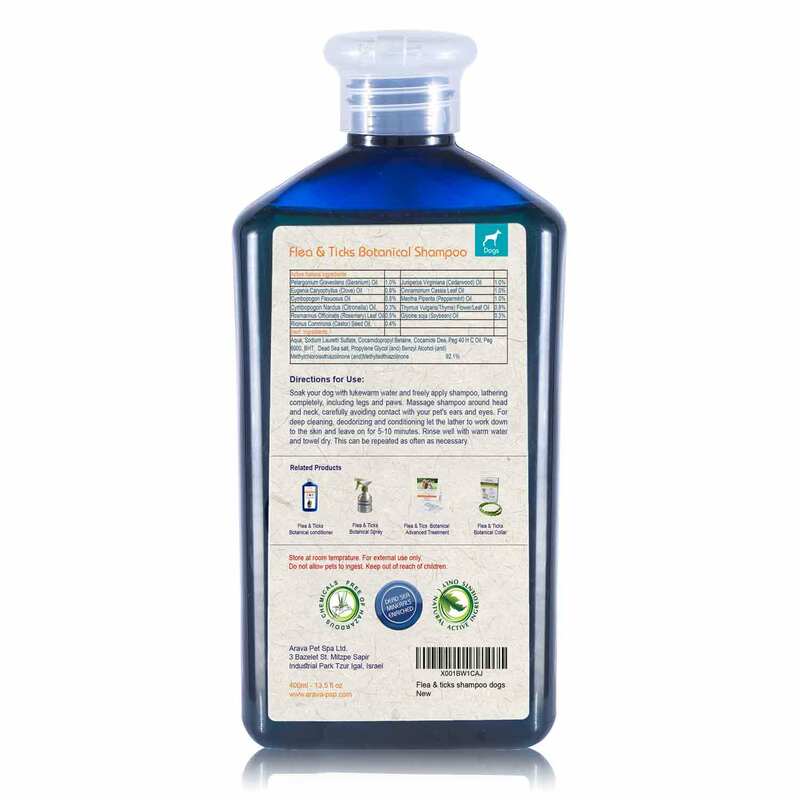 These wipes are super convenient for quick clean-ups for my dog between baths. Great for in between washing our cat. Smells so clean and fresh. 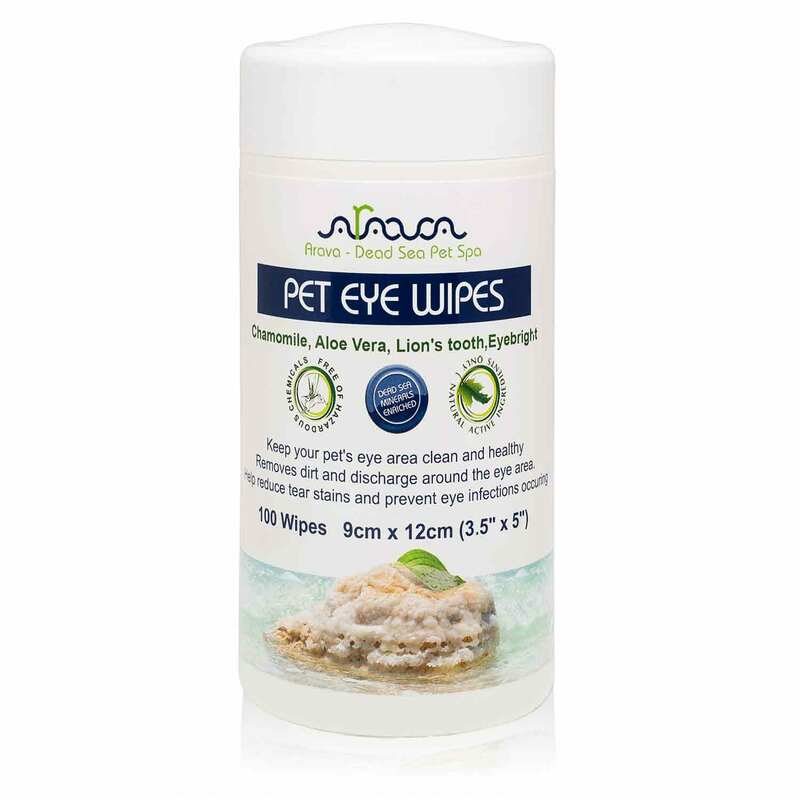 I also love the company’s PET EYE WIPES. I use these wipes to clean my dogs paws, face area, and sometimes under belly. 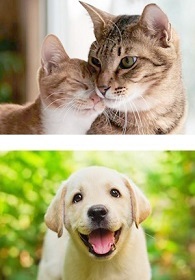 Smells good too! Recommended! My cat had feces stuck under his tail. Used these to clean him. Will buy again when these are gone. 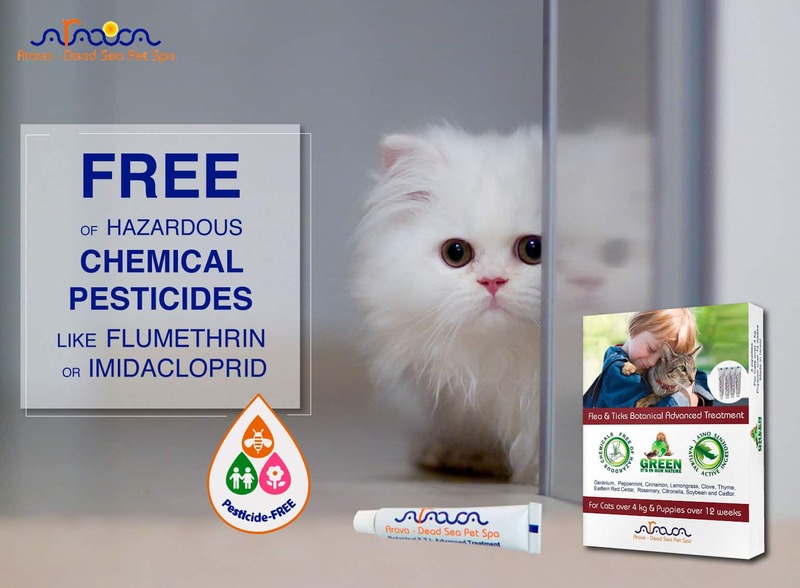 Plus has a very mild scent. 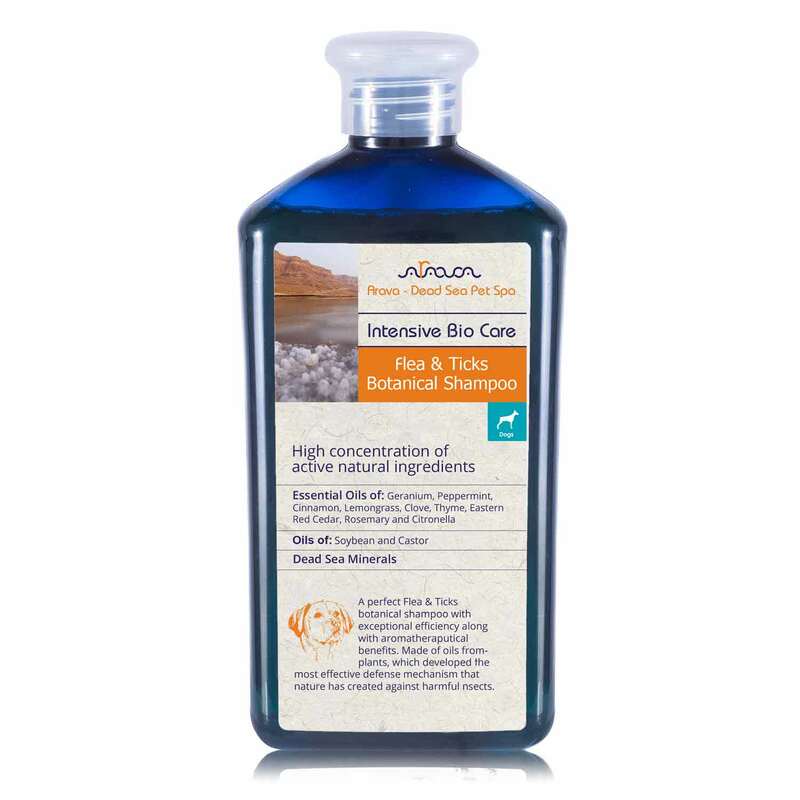 I have a dog that needs medicine daily and sometimes he misses.These are great for cleaning up under the chin and the chest.